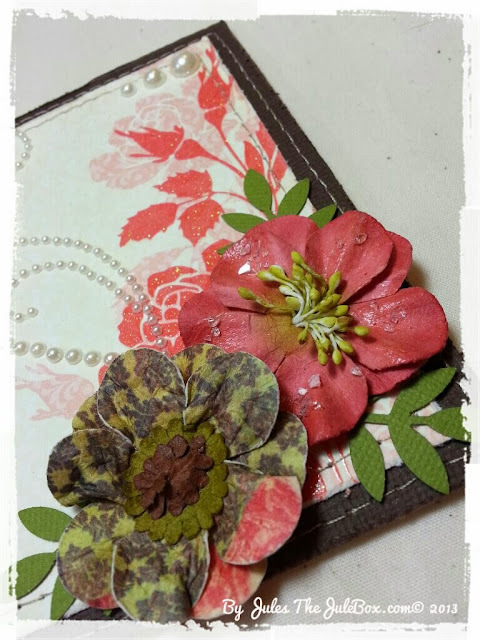 "The Jule Box Studios": "Garden Party" Shabby Cards for friends!! "Garden Party" Shabby Cards for friends!! Thank you so much for coming by to see today's post! 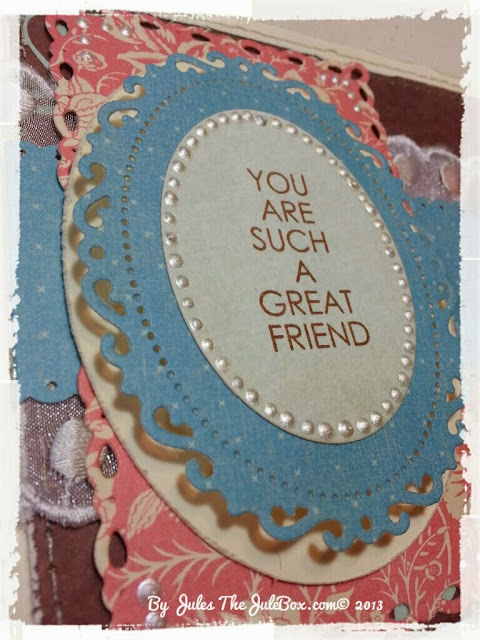 I wanted to share some cards I made using my trims from "The Jule Box Shop" and Patsy's ribbons! I really loved this paper collection when I saw it at the store and have had it forever but never used it. 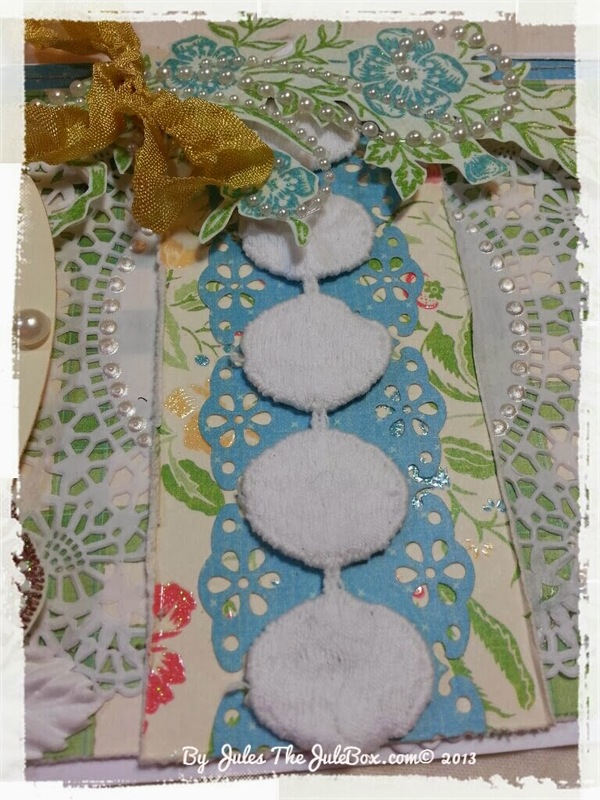 If you've been around this scrapbooking community on YouTube and Blogger for a couple/3 years you may have seen this collection by DCWV, "The Garden Party"? It's about 3 years old and so pretty! DCWV has been known for an array of styles of paper designs and those papers are thick!! The mat stack which is what I used is perfect for cards too. As you'll see in my video below. Please stay a bit and watch! I hope you enjoyed the video!! Here are some pics of the cards and what I used on them! Please leave a comment! :) Love hearing from you! 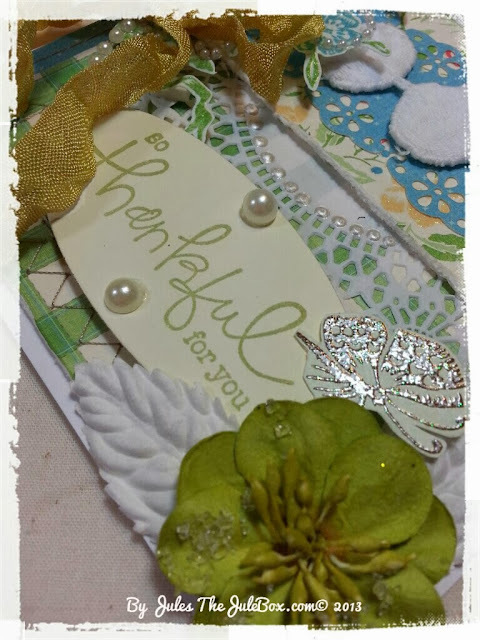 My favorite card is the "So Thankful for you" card! ~Here's what I used for this card! 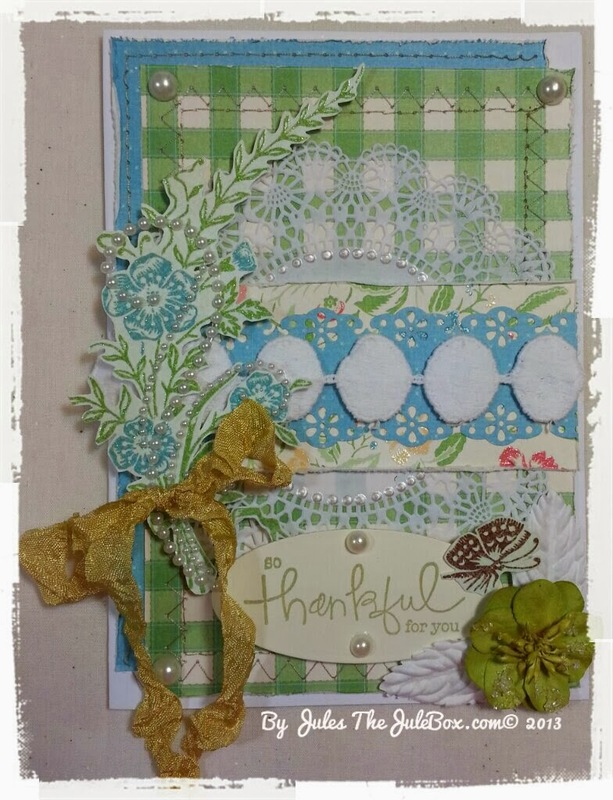 Spellbinders dies "Mega Ovals Large"
MS border punch "Floral Lace"
Anna Griffin pigment ink pad "Green"
Martha Stewart Deep Edge Border punch "Flower Bed"
Stamp set from TPC Studio "Greetings"
"You Are Such a Good Friend"
Memento ink pad "Rich Cocoa"
I loved making these cards, they were really pretty simple to make. I hope you enjoyed today's post and that you'll get yourself some laces to try some similar cards to make!! Please visit my shop at "The Jule Box Shop"! Thanks so much for stopping in! Have a great day! I love your creativity Jules...every item on your cards are thoughtfully placed ....thanks for all you do to inspire us! WOUW why haven´t I got an update for this post here??? HMMMM well I see it now, and your cards are just gorgeous hun. I absolutely love the shabby style here, it´s just so me. You did an outstanding job on all these sweetie, soooooo beautiful work on all of them. Have a wonderful day and lots of great fun. "Family" Mixed Media Altered Wood Blocks!